After seeing a photo of Nebula at DarkNTwistyNails I just needed to have it. 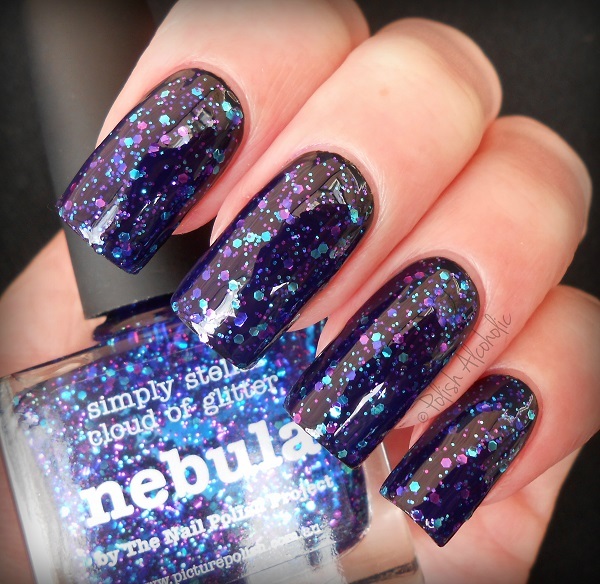 Nebula is a collaboration shade by piCture pOlish and The Nail Polish Project. It’s a dark blue jelly packed with blue and pink glitter. This can be worn on it’s own with three coats. I decided to layer it over black to get a galaxy look. These turned out so pretty, don’t you agree? Due to the glitter load it can leave a slight texture finish so I topped it with one generous coats of HK Girl by Glisten & Glow for a smooth finish. 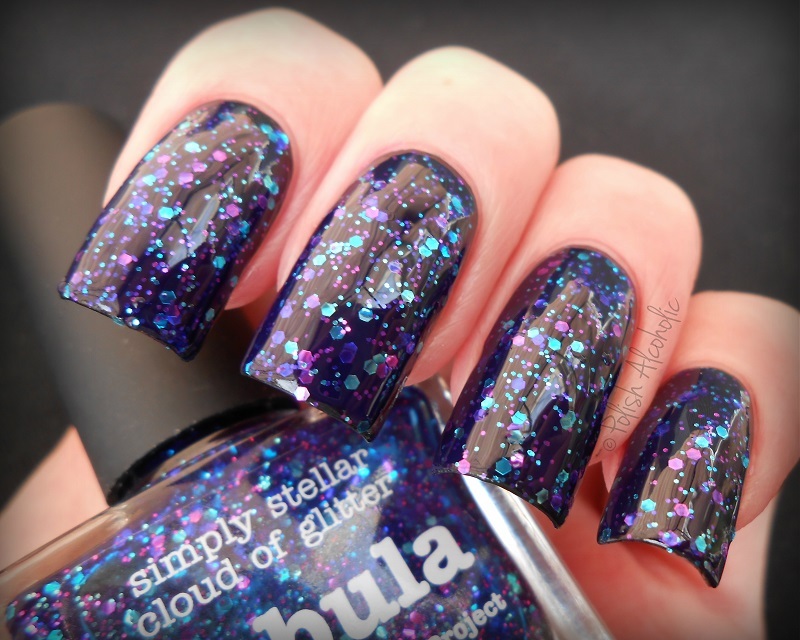 This entry was posted in piCture pOlish and tagged nebula, picture polish, picture polish nebula, review, swatches by Polish Alcoholic. Bookmark the permalink. I think it looks a lot nicer over a base colour! Disn’t like nebula first, but now i really like it! It looks really nice on you too.